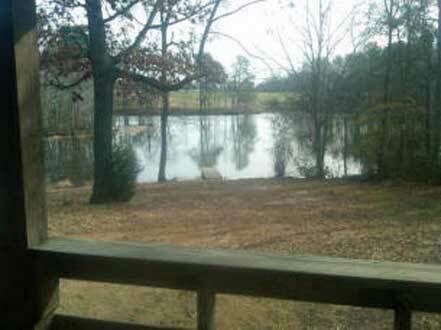 Located in western Halifax County, Woodlawn Hunting Club offers great hunting, fishing, and outdoor activities on approximately 3000 acres. Whether you prefer to hunt in rolling hills or in swampy lowlands, there is a unique combination of terrain within this club. If you enjoy fresh water fishing, there are five ponds that are stocked and waiting for you. All of this, combined with club house facilities that are suitable for all of your family to enjoy, makes Woodlawn a great choice for your outdoor enjoyment in eastern North Carolina. Woodlawn hunting club maintains this website for several reasons. First, we would like to promote our club to potential members that are looking for a great place to hunt and enjoy the outdoors. The unique terrain of this area offers the opportunity to hunt not only deer, but also turkey, rabbit, squirrel, duck, geese, fox, and dove. In addition, there are 5 ponds stocked with bass and bream. Take some time to browse through the club information categories to find any information that you wish to know. If there is a question that you would like to ask a board member, please go to the contact page and send us a message. We welcome visitors and would be happy to give you a tour of the property facilities if notified ahead of time. Established in 2000, by D.S. Moss on his farm and surrounding property, to provide outdoor enjoyment not only for its members, but also for their families. Today, there is a good combination of hunting, fishing, and socializing that keeps the club and clubhouse active. Woodlawn Hunting Club strives to provide a hunting environment in which young people can learn ethical hunting habits through the actions of its adult members.